The world is a beautiful place to be because it holds beautiful people like you in its lap. Hope you have a fun filled 26th birthday. Put on your dancing shoes, learn a few beautiful moves. It is your 26th birthday and we are going to celebrate it in a big way. Happy birthday. Do not count the mistakes you have made, instead count the experiences. And count the blessings which will help make this a special day. Happy 26th birthday. Health is wealth. So here I am hoping that you have a healthy and rich year ahead. Wishing you a great an successful 26th birthday my friend. A full year has passed and it seems like only yesterday when you were blowing the candle on the cake. Seriously, you’re 26 and you haven’t grown a bit. Happy birthday. I hope you have the best birthday today, but never forget to celebrate each moment, every day with fun and happiness. Happy 26th birthday. On your 26th birthday day I would want to gift you my vision for a day. Just so that you can see how amazing and special you are to me. Happy birthday. Don’t count the number of years you have lived. Instead, remember how much you have accomplished and you will find more reasons to celebrate. Happy 26th birthday. Good things happen to those who do good to others. I am sure the best things happen to you. Happy 26th birthday to the kindest and most beautiful person I know. The best way to stay young is to hide your true age. So don’t tell anyone that you’re turning 26 today hehehehe. Have an amazing and fun filled birthday. Hope your cake tastes wonderful and you get to sit on a heap of presents. And hope I get the biggest piece and help you lower the gifts’ heap. Happy 26th birthday. Have a lot of fun, but do go a little easy. For I would want you to remember your birthday at least this time. Have a safe and happy 26th birthday. Birthday is the most special day of the year. Hope your 26th birthday is special and full of fun. Have a great birthday and a wonderful year ahead. Happy birthday. I wish that all your wishes come true. And you have a memorable day and a great year. A very very happy 26th birthday to you. Birthdays come only once in a year, so make sure you treat this rare guest in a special way. Have a really happy 26th birthday. I wish that you stay 26 forever and charm the world with your good looks. I know I just made the best wish for you. Thank me and yes, happy 26th birthday. I wish your birthday includes everything that makes you happy. And I wish it stays special and in your heart forever. Happy 26th birthday. I love you so much that I would not mind saving you from the trouble of staying up, cutting the cake and unwrapping the gifts. Happy 26th birthday. May the dark nights and the flattering days never change you. For you are amazing just the way you are. Have a really happy 26th birthday. 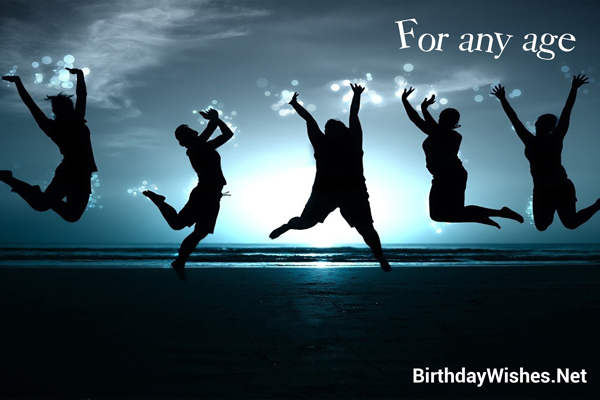 Check out this amazing collection of 26th birthday wishes, the 26th birthday wishes on this page incorporate the messages from these article, but feel free to add your own.